In March 1996, started an action in Chiapas, Mexico and toured in San Cristóbal, Oventic, La Garrucha, La Realidad, San José, La Candelaria, Palenque and San Andrés. In February 1996, Clowns Without Borders Spain went to Guatemala, more pecisely in the Izabal Department and performed shows in El basurero, Nebaj, Chajul, Tierra Nueva, etc. In December 1996, Clowns Without Borders Spain continued its action in Bosnia, and performed shows in Bihac. In December 1996, Clowns Without Borders Spain artists from Granada traveled to Honduras and El Salvador. In November 1996, Clowns Without Borders Spain went to the Saharian refugee camps with puppeteers. 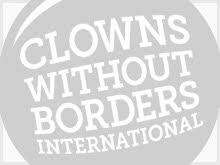 In November 1996, Clowns Without Borders Spain retrurned to Serbia to continue its work for the refugees of the Ex-Yugoslavia war. In October 1996, Clowns Without Borders Spain visited several communities in Nicaragua: Boris, Vega, and Esteli. In September 1996, Clowns Without Borders Spain retrurned to Serbia to continue its work for the refugees of the Ex-Yugoslavia war. In October 1996, Clowns Without Borders Spain continued its actions in Bosnia, and toured different schools in the city of Tuzla. In September 1996, Clowns Without Borders Spain returned to Palestine and Spanish jugglers brought joy to refugees around Gaza.